In a quiet neighborhood of Saugus, Massachusetts, near I-95 and Route 1, just north of bustling Boston, you can explore a picturesque setting featuring water-powered mill buildings, a 17th-century Puritan mansion, and a restored historic waterfront. 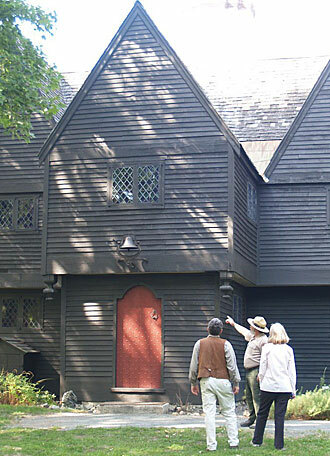 A trip to Saugus Iron Works National Historic Site is a voyage back to 1646, when the young Massachusetts Bay Colony was rapidly growing and in continual need of iron tools for farming; cooking; and building houses, shops, and ships. This colonial iron plant brought advanced iron-making technology to the New World and forged the beginnings of America’s iron and steel industry. 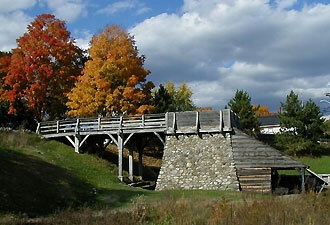 Today, Saugus Iron Works is an open-air museum that features a reconstruction of the 1646 iron works, complete with working waterwheels. Here you will not only learn the techniques involved in colonial iron making, you will feel a part of what 17th-century iron workers experienced. Begin your visit with the orientation film that brings to life the men who built and operated the iron works and reveals the exciting archeological dig and reconstruction of the site in the 1940s-50s. 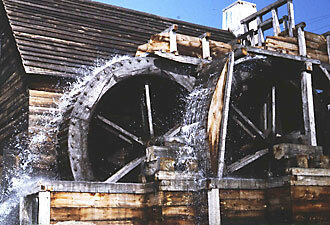 Take a ranger-guided tour and watch as a rush of water begins to turn huge waterwheels and as giant bellows pump blasts of air that kept the furnace fires roaring. You will feel the vibration as a 500-pound trip hammer slams down with a deafening bang and imagine the heat and the toil of workers as they refined heavy bars of iron. The ring of the anvil will draw you across the Saugus River to a small shop, where a blacksmith demonstrates how to make a nail, a hook, or some other useful item. Next, tour the Iron Works House. Imagine living in this house in the 1680s as its wealthy merchant owners. Then time travel through the centuries to the early 1900s, when the house was restored by antiquarian, preservationist, businessman, and photographer Wallace Nutting. During your tour, you will learn how people lived in the 17th century and discover the importance of the early 20th-century preservation movement and how it led to the reconstruction of the iron works industrial site. No matter your age, you can be a Junior Ranger at Saugus Iron Works. Visit the Junior Ranger Station to explore the park through hands-on activities. Discover wildlife, look for plants in the garden, identify a variety of rocks and minerals, find out about the raw materials needed to make iron, investigate archeological finds – and earn your Junior Ranger badge! The change of color in the fall creates a wonderful backdrop for a short stroll along the nature trail and around the river basin. Get a close-up view of many kinds of birds – cranes, hawks, ducks, herons, and many others – in this charming setting. Continue your visit by traveling north through the rest of the Essex National Heritage Area, which has hundreds of historic sites and natural landscapes to visit – all just north of Boston. Mark your calendar for the first Saturdays of each month from June through October. These are 17th-Century Saturdays throughout the county. On these Saturdays, you can participate in special events at the iron works and other historic sites. The park is open daily from 9 a.m. – 5 p.m., April 1 - October 31. It is always free.